Outdoor enthusiasts who love the Lake District will be able to enjoy some of its delights without leaving their armchairs. Explorer and mountaineer Paul Rose will front four television shows exploring the mountains and lakes of England’s most popular national park. In the first episode on BBC Two, Rose, who has lived near the shore of Windermere for the past 20 years, takes a trip around the countryside and the waters on his doorstep. He takes the helm of one the Windermere cruise ships which carry one in 10 of visitors to area, and he takes a look at how Windermere first became a tourist destination for wealthy adventurers who wanted a different kind of wild experience in 18th-century Britain. He also goes in hunt of things modern-day visitors may miss, including a hound-trailing event that has been a part of the Lake District calendar for more than 200 years. The adventurer then meets one of the survivors of the Holocaust who came to the Lake District in 1945 as part of a mercy mission to help Jewish orphans from the Second Word War. Rose ends the programme with the ascent of Orrest Head, the modest hill above Windermere which offers a spectacular view of the lake, and was the first hill climbed by Alfred Wainwright when he came to the Lakes in the 1930s. In another programme he explores Derwent Water and Borrowdale, including Seathwaite, the wettest place in England. Rose gets a thorough soaking as flooding hits the Borrowdale valley where flood damage from Storm Desmond in 2015 is still being repaired. In between the downpours, the presenter joins the crew of a Viking longboat before following in the footsteps of Millican Dalton, the self-styled Professor of Adventure who spent his summers living in a cave on Castle Cragg. He also meets members of Keswick Mountain rescue team on his ascent of Great Gable. The third episode centres on Coniston, with Rose meeting Donald Campbell’s daughter Gina and crew member Robbie Robinson who was there on the fateful day in January 1967 when Campbell’s speedboat Bluebird crashed on the lake while attempting a world record. Rose then takes to one of his favourite modes of transport, a penny farthing bike. 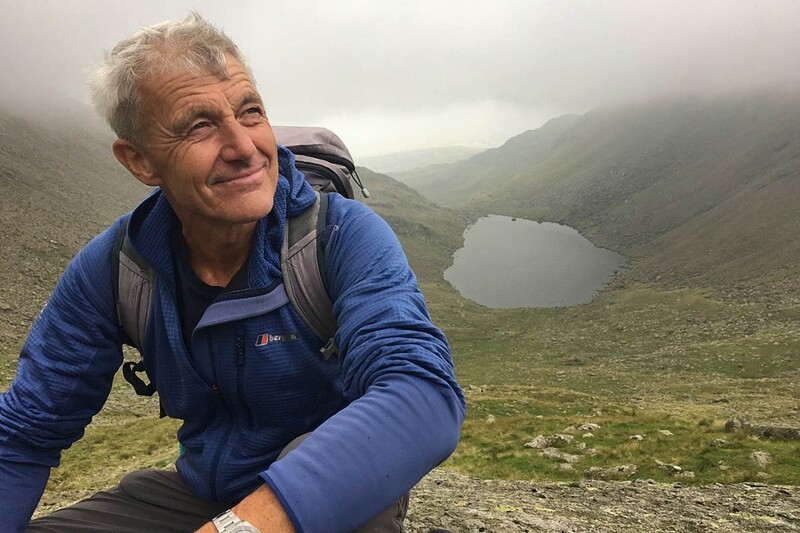 He also joins mountain bikers in Grizedale Forest and climbers on Dow Crag before he takes a crack at reaching the summit of The Old Man of Coniston. In the final programme, viewers will be able to see Rose journey from sea level to England’s highest point on Scafell Pike as he makes his way Eskdale, meeting a vulture from the bird of prey centre at Muncaster Castle, and helping get the steam trains ready for action on the Ravenglass and Eskdale Railway. Finally, Rose gets his hands well and truly dirty at Eskdale Show, including taking a few tumbles during a spot of Cumberland wrestling with the locals. The series is being transmitted nationally for the first time, after regional showings earlier in the year. The first programme is due to air on Friday 19 October at 8.30pm on BBC Two. Did I miss it or is the title of the series not in the article anywhere? It’s not a bad series. It was shown in the North East a while back. The series is called The Lakes with Paul Rose. While I am all for promoting access to the outdoors, someone should mention to the BBC that there are other National Parks, with lots to see and do.